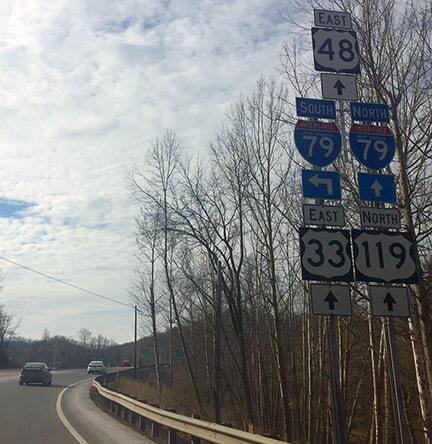 *This terminus was not signposted as US 48 until 2017. 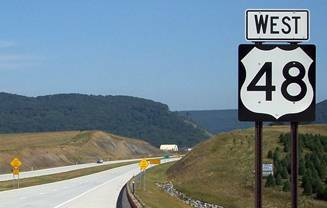 Note: the current US 48 is not to be confused with US 48 [i], which served California during the 1920s and '30s; nor US 48 [ii], which served Maryland and West Virginia in the 1970s and '80s. 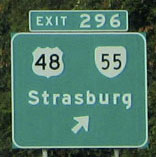 VA 55 continues east (behind the camera) to US 11 in Strasburg, and then for another 50 miles to US 29 in Gainesville VA. 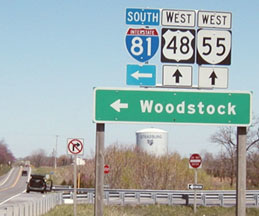 The road coming in from the right side of the picture is the exit ramp from I-81 South; I-81 passes below VA 55 a few feet behind the camera (the picture was taken from the edge of the overpass). 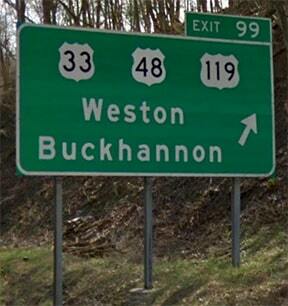 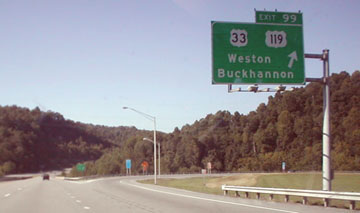 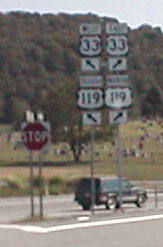 Weston is to the left via US 33-119, and US 48 begins to the right: overlapped with those routes, heading towards Buckhannon. 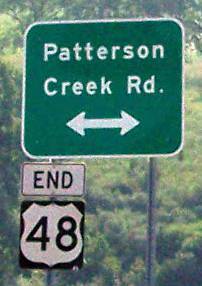 last updated Apr. 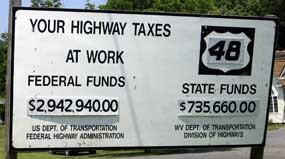 1, 2019.